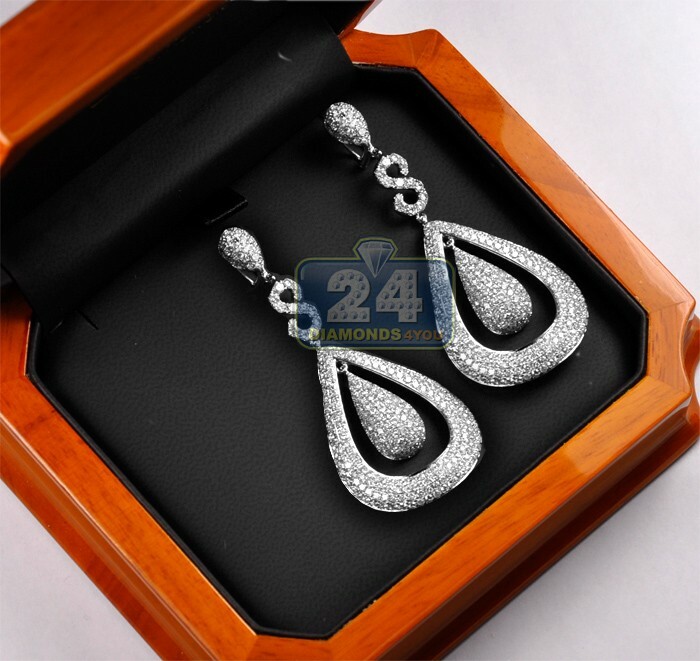 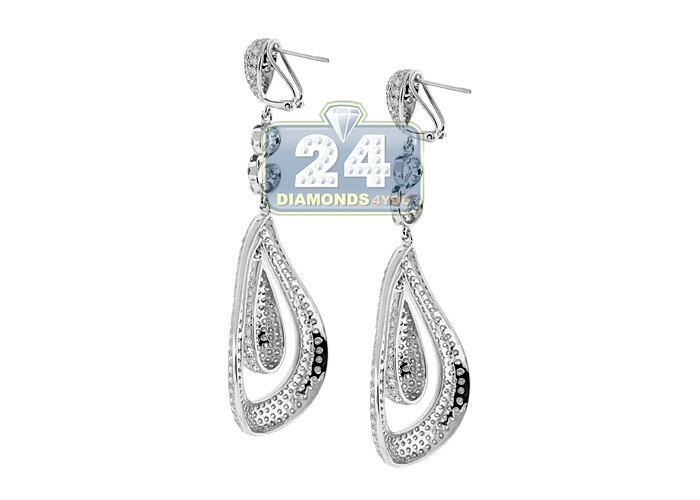 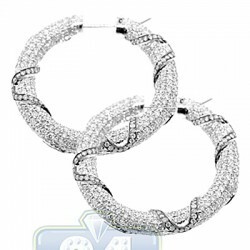 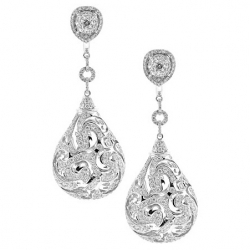 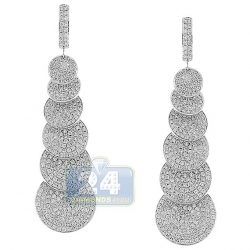 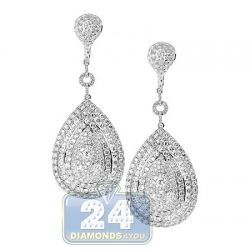 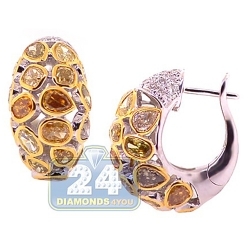 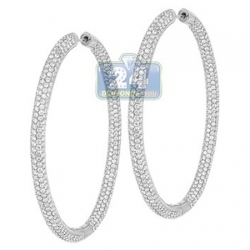 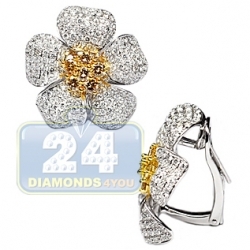 Womens Diamond Teardrop Earrings 14K White Gold 12.08 ct 2.75"
Heaps of icy white diamonds on your ears! 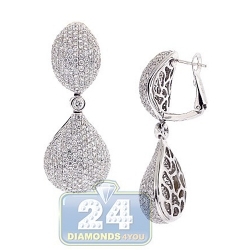 Our lady's diamond earrings has classic teardrop design, handmade of cool 14k white gold and encrusted with 12.08 carats of round brilliant-cut diamonds, VS1-VS2 clarity, F-G color. 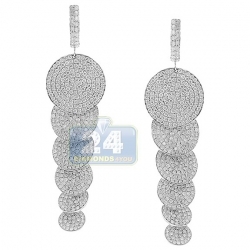 They also feature 2 3/4 inches in height and 1 1/5 inches in width. 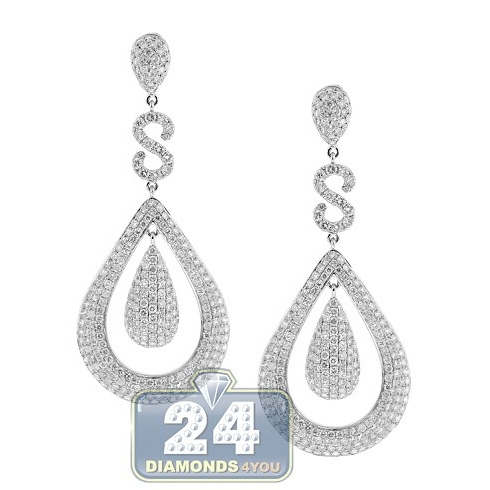 It's impossible to stay indifferent to these diamond earrings!